Palm Springs is one place that many Canadians love to travel to. Maybe it's the dry desert heat, the laid-back atmosphere or the fact that you really can't do much except relax by the pool, drink lots of tasty margaritas with the extremely reasonably-priced Don Julio Tequila you can purchase at Costco or maybe the fact that you feel like Frank Sinatra and the rack-pack in the '60s when you have a drink poolside at The Saguaro or visit the Palm Springs Art Museum. 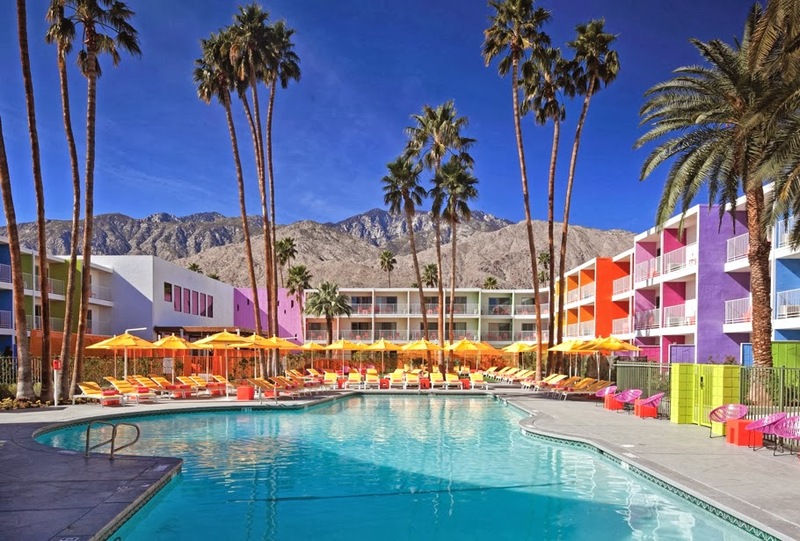 Whatever the case may be, each time we visit Palm Springs, we come home completely relaxed, rejuvenated and ready to take back life in its regular format (a.k.a. working). Our usual Palm Springs vacation involves a lot of relaxing and not much else because previously we had never really looked into doing much else. 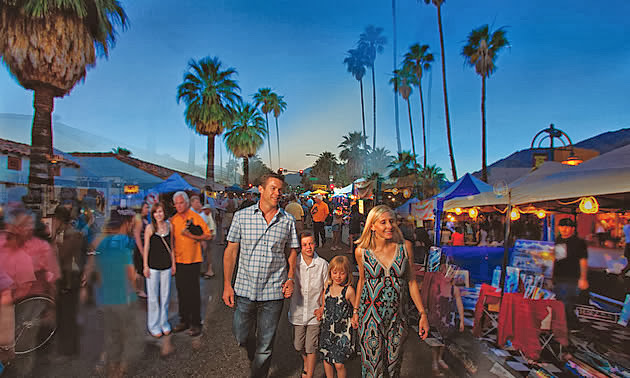 This year when we visit Palm Springs with the in-laws in a couple weeks time, we really want to experience some more active and cool things that the city has to offer. I started doing some research a couple weeks back and the following is an extremely rough itinerary of what we can look forward to coming up. 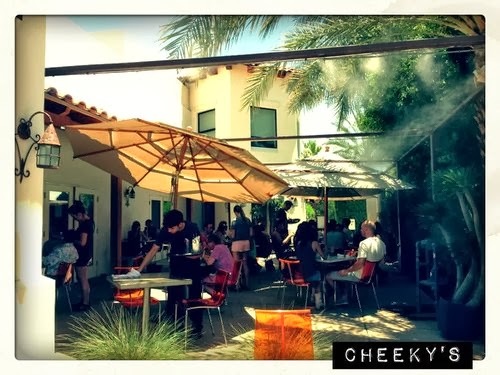 Go for brunch at Cheeky's. It uses local organically sourced ingredients for all their menu items and because of this, the menu is constantly changing depending on what is in season or available. They have a bacon-flight which I am super curious to try and supposedly their Bloody Mary's are the best. Go Vintage shopping at Resale Therapy and Deja Vu. Now I know from personal experience that the Shop Space Outlets in Palm Springs is incredible (Prada shoes for 60%, Diane von Furstenberg for 50%!! 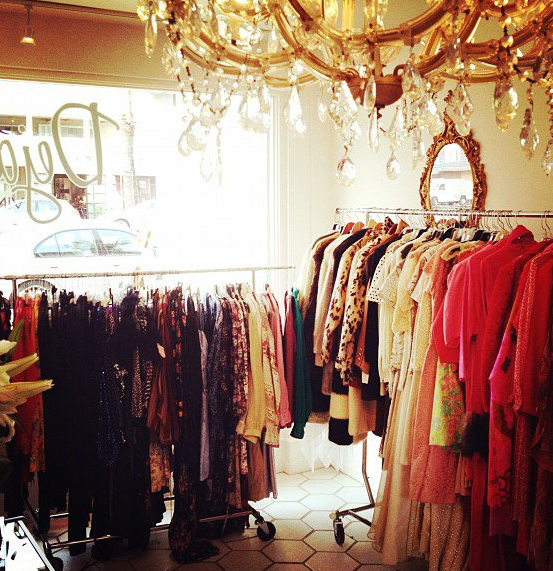 ), however this time I'm dying to visit some great luxury vintage shops. Some of the stores I have read about mention that because of all the uber-rich residents in Palm Springs, you are going to find some truly authentic, designer pieces for a fraction of the cost. In addition, I love vintage shopping because it is ethically responsible and the carbon-footprint is non-existent (if you don't include the older lady driving her Rolls Royce to the shop to drop off her goods). Hike to the Peak of Mt. Jacinta. After consuming all those margaritas and my mother-in-law's excellent cooking, we'll definitely be ready for something active like a hike, the Mt. 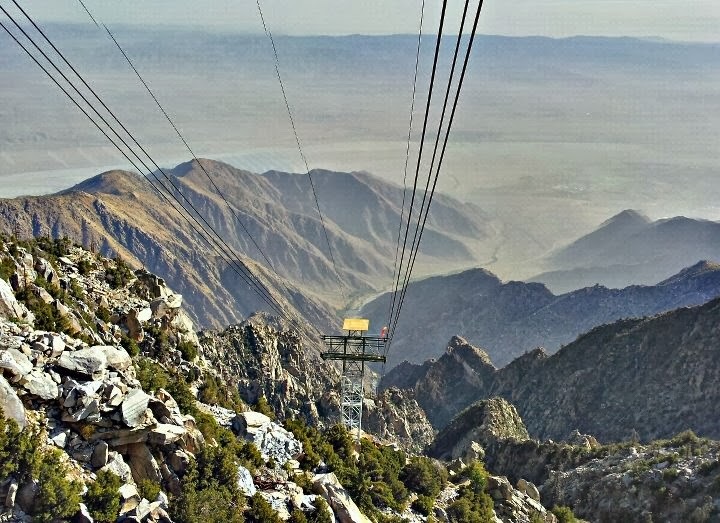 Jacinta Peak Hike which is 11 miles round-trip from the top of the tramway will be perfect. It is the second highest point in Southern California and supposedly we just might be able to see the twinkling lights of Las Vegas at the mid-way point. The Palm Springs Art Museum. 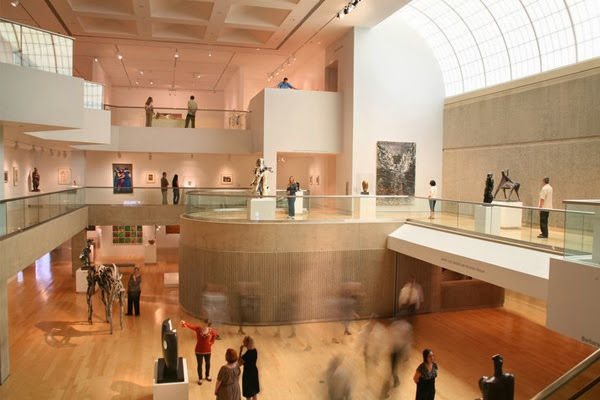 The art museum provides a location for the affluent residents of Palm Springs to loan their collection for visitors to enjoy. I'm really looking forward to viewing the abstract artwork of Richard Diebenkorn and my husband has always been interested in pottery so the exhibit "Out of the Fire" about ceramic works should be pretty interesting as well. Mexican food at Soul of Mexico. Our friends who are visiting Palm Springs right now texted me the other day and told us this was THE place for great Mexican food as the owners use home-made recipes that date back more than 100 years ago and in Desert Magazine in 2011, they were voted No. 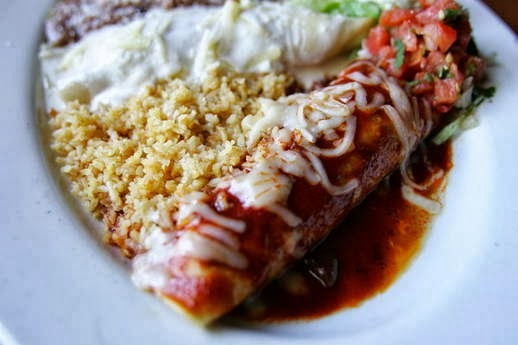 1 Mexican Food in the Valley. Drinks at the Colony Palms Hotel, poolside. 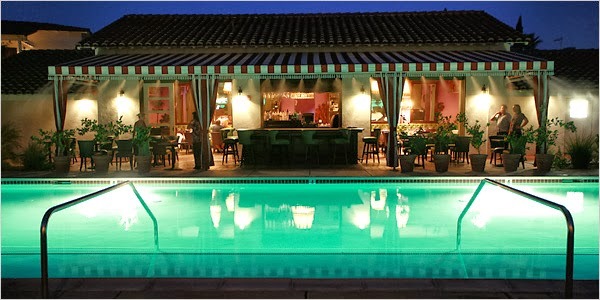 Now I'm not sure if the poolside bar is for hotel guests only or if it is available for the public to enjoy as well but if so, we'll definitely be visiting the pool one evening during our visit. The Colony Palms is renowned for its service and was completely revamped by Martyn Lawrence-Bullard who is the poster child for the "rags-to-riches" story as one of the most sought-after interior designers right now. Plus I crack up with the way he pronounces his name on the show "Million Dollar Decorators". Thursday night VillageFest. Every Thursday night, Palm Canyon Drive stays open late and various businesses as well. The most interesting thing about VillageFest is the fact that over 200 vendors will have their tables/stalls set up streetside and we'll be able to scour cool art, handiwork and other unique items that may only be available at this particular event. Plus, live music and late-night eats sound pretty perfect to me. Well, the countdown is on for our upcoming vacation and I couldn't be more excited. I'll let you all know what we ACTUALLY end up doing because as you probably know, when you go on vacation, you want to do everything but sometimes end up doing nothing. Let's hope for the former rather than latter. Finally, if you would like to see my pictures, live, while I'm on vacation, feel free to follow along on instagram: @tastynchic.